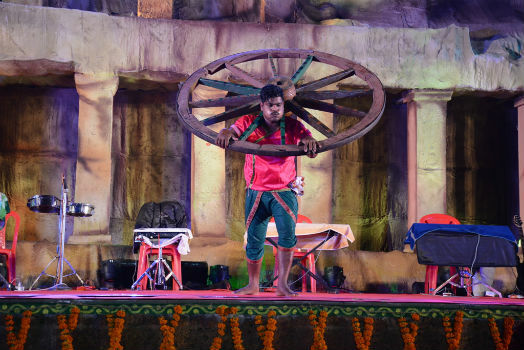 Bhubaneswar: The “Khandagiri- Udaygiri Mahotsav” organised by Tourism Department in association with Department of Culture, BMC and BDA kick-started on 25th January at Khandagiri Interpretation Centre, Bhubaneswar. This cultural fiesta is aimed to bring a fusion of display combining both classical and folk dance with popular renowned artistes performing on each day of the festival which will boost tourists’ inflow to the state.The programme was inaugurated by Minister Food Supplies & Consumer Welfare and Cooperation, Govt. 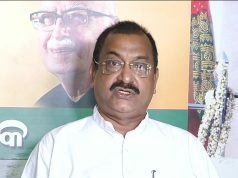 of Odisha Shri Surya Narayan Patro. 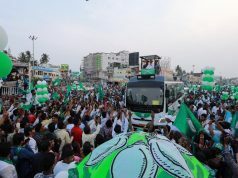 Amongst others, Minister Tourism & Culture Shri Ashok Chandra Panda, Mayor Shri Ananta Narayan Jena, Local Corporators and other invited guests were present. Today’s evening programme was performed by the artistes of Biswajanani Kalaparishad, Bhanjanagar who performed “Pashu Mukha Nrutya” (animal dance). Then the Brundaban Sanskrutika Anusthan (BSA) Keshinga of Kalahandi performed item titled Sada Rasa which exhibits the predominating Rasas i.e. emotions of life and reflects the feelings of heart of the young ones. along with last item Paika Nrutya of Khurda performed by the artistes of Maa Analei Paika Akhada Sangha, Mangalpur Khurda. The last item of the evening was performed by Ollywood Singing Sensation Tariq Aziz & Pragyan Hota. 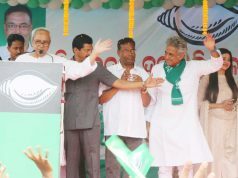 The artistes performed on the stage with popular Odia and patriotic songs spellbound the audience. The visiting tourists also enjoyed the local delicacies in the Food Court participated by 15 reputed hoteliers. ORMAS has put up 10 stalls where Self Help Groups are participating with their products along with exhibition of Boyanika. Other agencies like OIMSEAS, ASI, State Museum, State Archives, Khadi Board, Tourism stall, Lalit Kala Academy have displayed their products in the exhibition. The Sand Art display performed on the occasion by Padmashri Sudarsan Pattnaik, international famous sand artists attracts huge tourists in general and local visitors in particular.